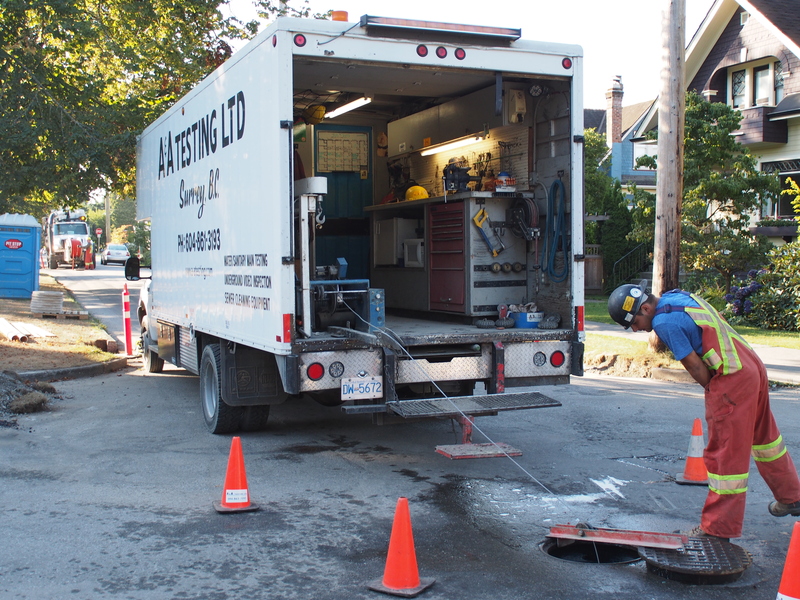 CCTV Inspection - A&A Testing Ltd.
We are a full service sewer and pipeline company based in Surrey, British Columbia. We do everything from municipal work to new sub-divisions and developments, serving customers throughout the Lower Mainland. Call: 604-385-4328 for more information. A&A Testing uses RS Technical Services as our equipment supplier. A leader in the industry; they build rugged dependable inspection equipment that stands up to the demanding environments they are subject to. We also use POSM software (Pipeline Observation System Management) a user friendly highly adaptable software that is constantly being updated and improved to meet the ever changing specifications in our area. CCTV inspections are a significant step in sewer maintenance and development, video inspections help cities; municipalities, contractors, and private owners determine the condition of their pipeline systems. Whether it’s a large contract for the city as a part of a maintenance program or as quality control measure for contractors trying to meet the standards of today’s stringent specifications. A&A Testing’s NASSCO certified operators have years of experience and provide consistent quality reporting in a friendly professional manor, offering recommendations for repairs and different options for getting those difficult jobs done.